A trend has taken hold over the last several years in the housing industry to build very small houses. The Tiny House movement has captured the imagination of people across the country and in fact around the world. Magazine articles and television shows have been devoted to the topic of how to build a living space that will fit on a transportable trailer that serves as a foundation. 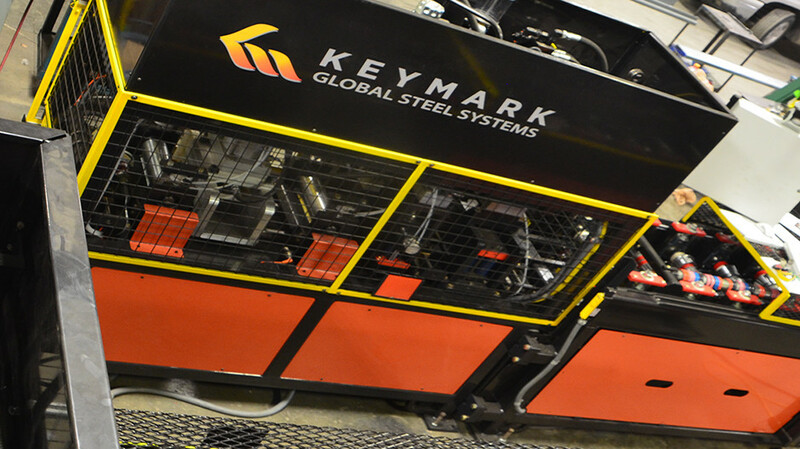 Keymark recently became a participant in this movement when it installed a GSSE roll forming machine with Trailer Made Trailers, a company that manufactures tiny house trailers that decided to start manufacturing light gauge steel frames. It is a goal of tiny house builders to minimize the weight of the houses built on trailers so the use of steel frames instead of wood helps reduce weight while delivering a higher quality frame. Other companies provide roll forming machinery to this industry. What is revolutionary about Keymark’s entry into this market is the software package we developed to design tiny house frames. Easyhouse is a software package that can be learned over the phone in a single, fifteen minute session. Almost any tiny house can then be designed in a matter of minutes. The tiny house is visualized in real time 3D as the user answers a series of prompts to quickly build a tiny house. Framing takes place automatically in the software with specifications being sent to the GSSE to form all frame pieces. Easyhouse will be expanded soon to be able to design any type of small building structure. A video is being made to show just how easy it has become to design small structures. Give us a call if you want us to send you a copy of the video – you’ll be impressed.